Here’s hoping your St. Patrick’s Day weekend was a merry one. Care to prolong the magic? The footprint of Union Station would land hard on Swampoodle - the neighborhood could not endure the massive construction project intact. Swampoodle earned its name during building of the landmark St. Aloysius Gonzaga Church. The land surrounding the construction site would often grow swampy and fill with puddles when nearby Tiber Creek flooded its banks (swamp + puddle = Swampoodle … ta-da!). Fleeing the great famine, the neighborhood became home to the city’s Irish immigrant population in the late 1840s and early 1850s. It was identified with blue collar Catholic workers, poor public health, smelly livestock and lawlessness. The gangs of street toughs who came to wander the area were dubbed ‘poodles’ in recognition of the neighborhood’s new sobriquet. Take me out to the ballgame - and get me away from this potato famine! It wasn’t all bad. The city’s popular baseball club, the Washington Nationals (also known as the Statesmen or Senators) played in the local ballpark - Swampoodle Grounds. Their catcher, Connie Mack, would go on to be a MLB Hall-of-Fame manager & team owner. 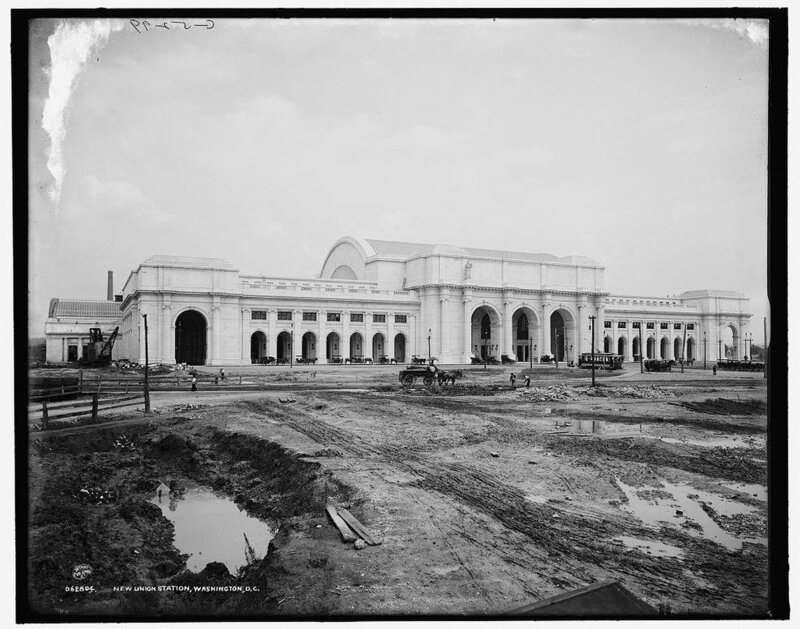 The death of Swampoodle began in 1907 with the construction of Union Station. The building project destroyed 10 blocks of modest Swampoodle housing and cut the neighborhood in half. Thus maimed, it would eventually fade into history. Nowadays, the area has been resurrected into a surpassingly bougie enclave called NOMA (north-of-Massachusetts-Avenue). What a difference a century makes!